SOUTH AFRICA (businesstech.co.za) – New World Wealth has published its South African Wealth Report for 2018, showing how wealth trends have shifted among the country’s richest people. According to the report, South Africa is currently home to 43,600 high net worth individuals (HWNIs) – people who have total wealth higher than $1 million – at the end of 2017. 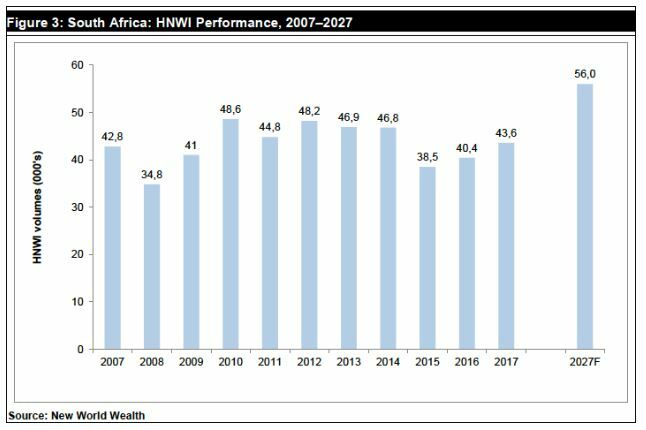 HWNI growth in 2017 was in-line with overall wealth growth in South Africa, where total private wealth increased from $670 billion at the end of 2016 to $722 billion at the end of 2017. Of this, HWNI wealth rose from $284 billion to $306 billion, staying at 42% of total private wealth. However, the picture changes when looking at HWNI growth over a 10 year period. On the flip-side, the JSE all share index increased by 17% over the period, while there was strong growth in the professional services sector, and the MSCI World Index grew by 43% – because many local HWNIs are invested overseas. 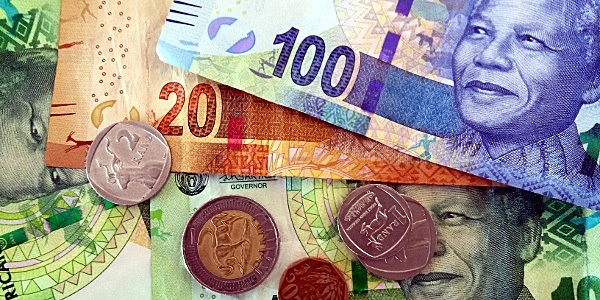 According to New World Wealth, over the next 10 years, HWNI growth in South Africa is forecast at 28% – on the back of recent, more positive political changes – expected to reach 56,000 dollar millionaires by 2027.